Richard Ryan is pleased to be returning to the TheatreWorks stage. He was most recently seen as Captain E.J. Smith in "Titanic, the Musical." Richard is a veteran of 30 years of stage performing in the Kentuckiana area in professional and community theatre, the Kentucky Opera, and The Stephen Foster Story. Richard also has 40 years of vocal performing in churches across the United States. Richard lives in Sellersburg, IN with his wife Cathy, and they have three adult children, Briner, Jonathan and Jenna. He wishes to thank Chris Bundy, Hannegan Roseberry, the cast and crew for making this another great theatre experience! Enjoy the show! Josh O'Brien is proud to be joining TheatreWorks for such a lovely event. This past year with the company he appeared in Titanic (Fleet/ensemble) and Two By Two(Shem). Regional credits include Into the Woods (Cinderella's Prince) and 1776 (Richard Henry Lee) with Mind's Eye Theatre, Company (Bobby) and The Importance of Being Earnest (Jack) with The As Yet Unnamed Theatre Company, Eliza: A Play on Pygmalion (Higgins) with The Chamber Theatre, Pride and Prejudice(Darcy) with The Theatre Downstream and The Who's Tommy (Barker), Sweeney Todd (Pirelli), and Assassins (John Hinckley, Jr.) with CenterStage. Thanks to Chris for opportunity, and all love to Jen. Happy Holidays! Lori is excited to make her debut at TheatreWorks of Southern Indiana in the Christmas Madrigal Feast & Celebration. A 2002 graduate of Floyd Central High School, she is thrilled to be performing again under the direction of former FCHS Theatre director, Chris Bundy. She is a member of Voces Novae, a semi-professional choir in Louisville. Tyler Dippold (King) is honored to join Theatre Works for another production after Titanic The Musical (Henry Etches/J.J. Astor). His eclectic list of collaborations include: JCC (Into The Woods: Rapunzel's Prince/Wolf), Orchestra Enigmatic (Board member, soloist), Forecastle Festival, 1200, Voices of Kentuckiana, Saint Martin of Tours, The Speed Art Museum, and The Louisville Orchestra (Bernstein: MASS, Rock Singer #1). 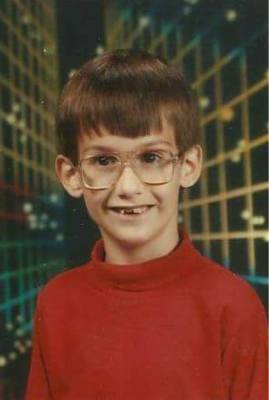 He is a recent graduate of U of L where he earned a Bachelor of Arts in Music Therapy. 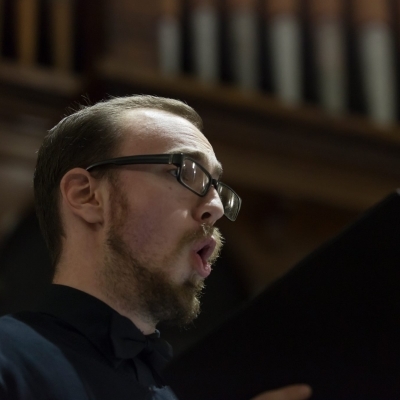 There, he was a vocal scholar who studied with Baritone, Chad Sloan and spent several summers competing and touring internationally with U of L’s Cardinal Singers. Since his board-certification, Tyler works as a Music Therapist with Personal Counseling Service, Inc. all along the Ohio River Scenic Byway. He'd like to thank Katie Kraft and Chris Bundy for such a nostalgic holiday season! Katie is thrilled to be working with this group of talented musicians. 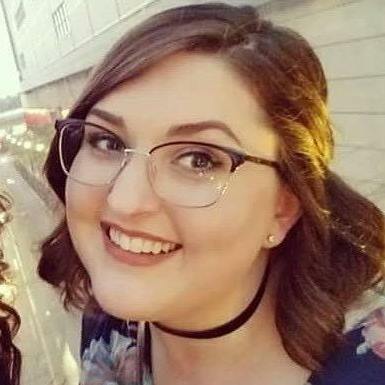 She graduated from Ball State University with a degree in Vocal/General Music Education and taught in New Albany/Floyd county schools as a General music teacher at Highland Hills Middle school and Choral/Theatre director at Scribner Middle School. She now owns and instructs private voice lessons at Kraft Music Studio, where she has the pleasure of working with talented middle school and high school vocalists in the southern Indiana area. Katie lives in Floyds Knobs with her husband and 2-year-old and 7-month-old daughters. Christmas Madrigal is one of her favorite ways to celebrate the Christmas season; it has been a blast working with some old friends and she looks forward helping share the holiday spirit! Robbie Steiner is the Director of Theatre Arts at Floyd Central High School and a native of southern Indiana. An avid performer during his youth, Robbie has spent most of his adult life directing other budding performers. 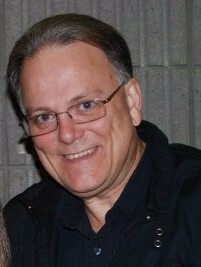 His productions of Disney's Newsies and 42nd Street have been seen on the International Thespian Festival Main Stage. Robbie was last seen onstage as El Gallo in the IU Southeast production of The Fantastics. He has performed with Stage One, Music Theatre Louisville, Derby Dinner Playhouse, and the Kentucky Opera. He is thrilled to be directed again by his mentor, Chris Bundy, for the first time since he was 12 years old! Jenna Ryan (Madrigal Singer) is thrilled to be in her first production at Theatreworks! A theatre and Spanish graduate, she has worked with many local theatre companies such as Pandora Productions and JCC Centerstage, as well as the Glimmerglass Opera Festival in Cooperstown, NY. She currently works with Five-Star Technology Solutions to create awesome learning experiences for kids. Happy Holidays! Having worked in theatre for almost five decades, Chris has directed, designed or acted in four hundred plus productions during his career. He holds degrees in theatre from Indiana University and Northwood Institute, Performing Arts Division. His involvement in educational theatre spanned 39 years beginning with his teaching career at West Washington H.S., followed by Silver Creek H.S. and retiring from many years as Director of Theatre Arts at Floyd Central H.S. He was founder and artistic director of the popular Spring Mill Theatre for the Indiana State Parks System for a fourteen year run and has directed productions for a variety of community theatres as well as directing several shows featured at The International Thespian Festival in Lincoln, Nebraska and four shows representing Indiana at The Edinburgh, Scotland Fringe Festival. He is proud to have former students working in all areas of the performing arts from Broadway to L.A. and throughout the world. Awards include The Kennedy Center/Stephen Sondheim Inspirational Teacher Award; The Founder’s Award and Educational Theatre Association Hall of Fame Honors; Arts Council of Southern Indiana Arts Advocate Award; WHAS ExCel Award, and I.U. Armstrong Teacher Educator Honors, among others.